June | 2012 | 50 Westerns From The 50s. If you’re a 50s Westerns fan, a soft spot for Hank Worden is pretty much a given. 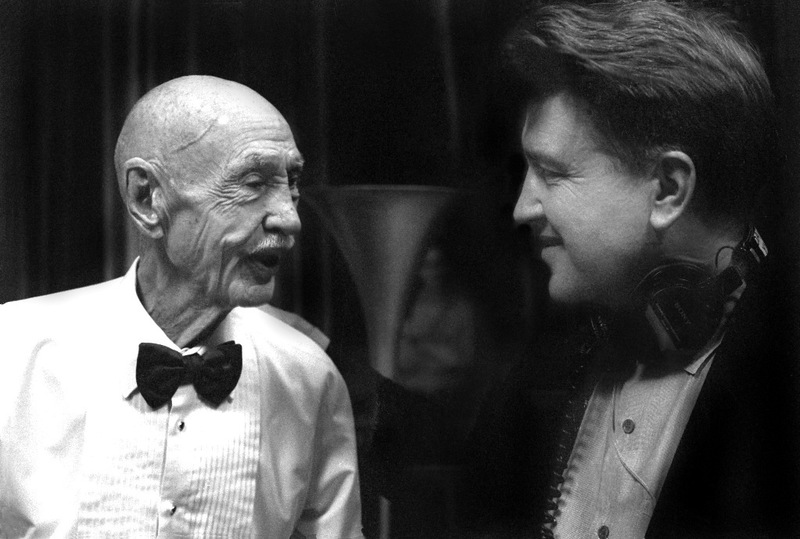 Came across this photo today of Hank with David Lynch on the set of Twin Peaks. Worden’s goofy manner seemed like a perfect match for Lynch’s skewed vision of just about everything. Shame he wasn’t around to appear in Lynch’s The Straight Story (1999). That would’ve been perfect. 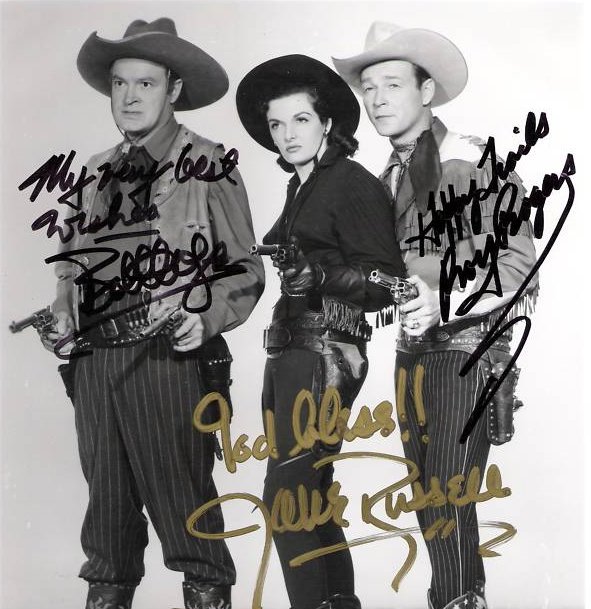 50s Westerns DVD News #91: A Couple From Fred F. Sears. 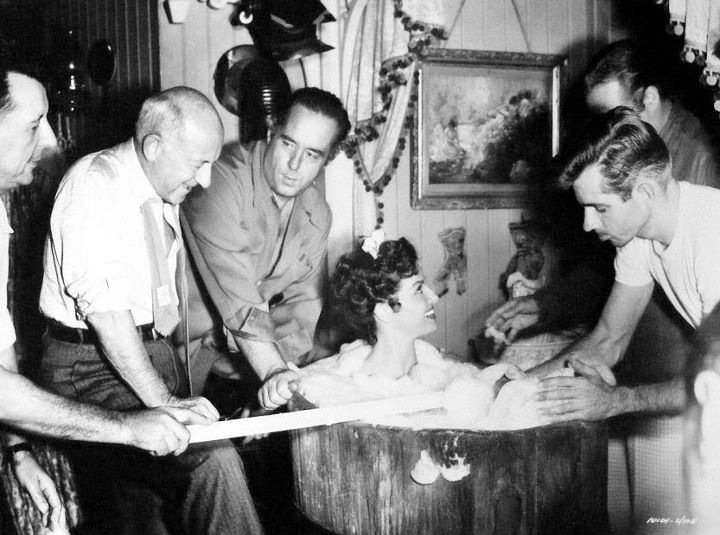 A recent post on Ambush At Tomahawk Gap (1954) spawned a thread about director Fred F. Sears, who made some cool, and often quite good, low-budget pictures for Columbia. I’ve always been an admirer of Sears’ work — he should’ve been given some A pictures. I was happy to see others feel the same way. So, with all that in mind, it’s terrific that Columbia’s MOD program will be releasing two Sears Westerns in August. 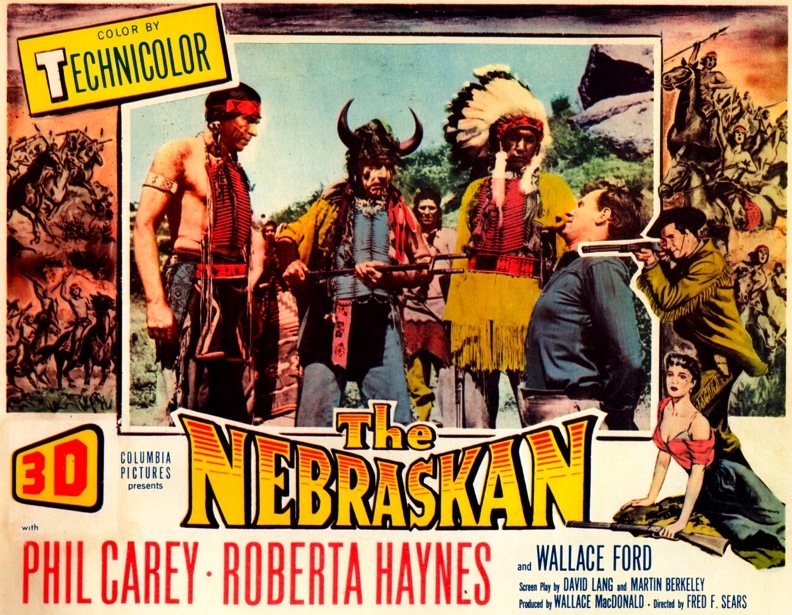 The Nebraskan (1953) stars Phil Carey, Roberta Haynes and Wallace Ford — and was originally in 3-D. Lee Van Cleef and Dennis Weaver have early roles. 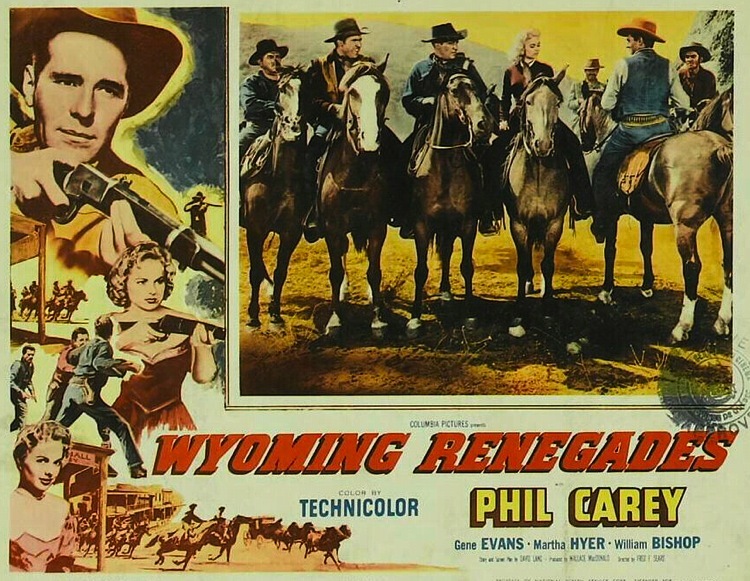 Carey’s got the lead in Wyoming Renegades (1954), too. Martha Hyer and Gene Evans co-star. Both pictures were written by David Lang, with Martin Berkeley also working on The Nebraskan. 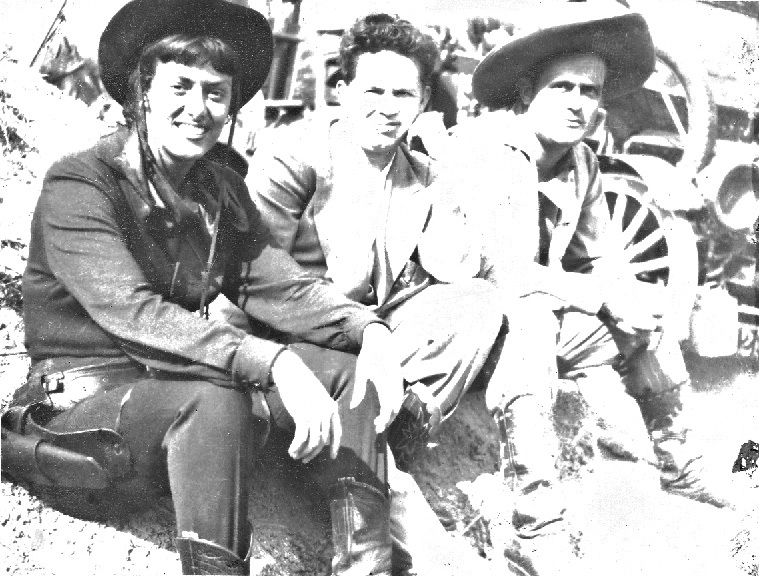 Lang wrote quite a few 50s Westerns, for various studios, before turning to TV; Berkeley later wrote Revenge Of The Creature and Tarantula (both 1955) for Universal-International. A more in-depth post on Ambush At Tomahawk Gap is in the works. 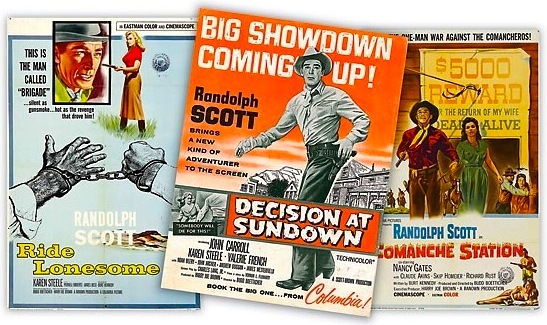 Ride Lonesome: The Films Of Budd Boetticher. Click here for films, times and other details. More about ’em here. Thanks to Henry Cabot Beck for the info. This incredible promo still for Ride Clear Of Diablo (1954) appears today to mark the birth of Audie Murphy. Dan Duryea doesn’t seem to be enjoying Audie’s birthday all that much. 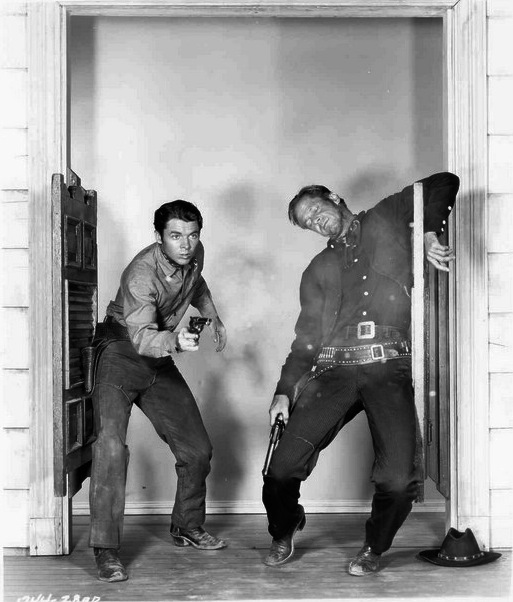 A great way to celebrate would be to run something from The Audie Murphy Westerns Collection. Ride Clear Of Diablo is one of the pictures in that set. From The 50s Westerns Department Of Useless Knowledge. Did a little looking, and there it was. You can find anything on the Internet. Wonder what the story is on this? Thanks to Kit Parker for giving me something to obsess about today. 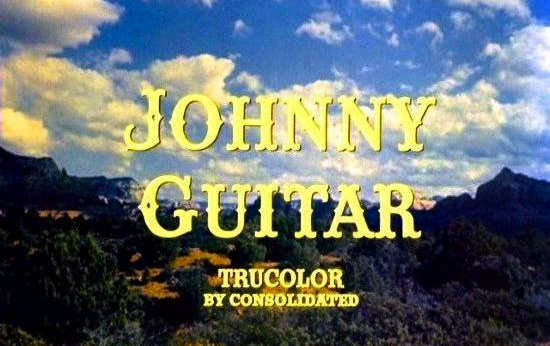 Colin on Johnny Guitar (1954). 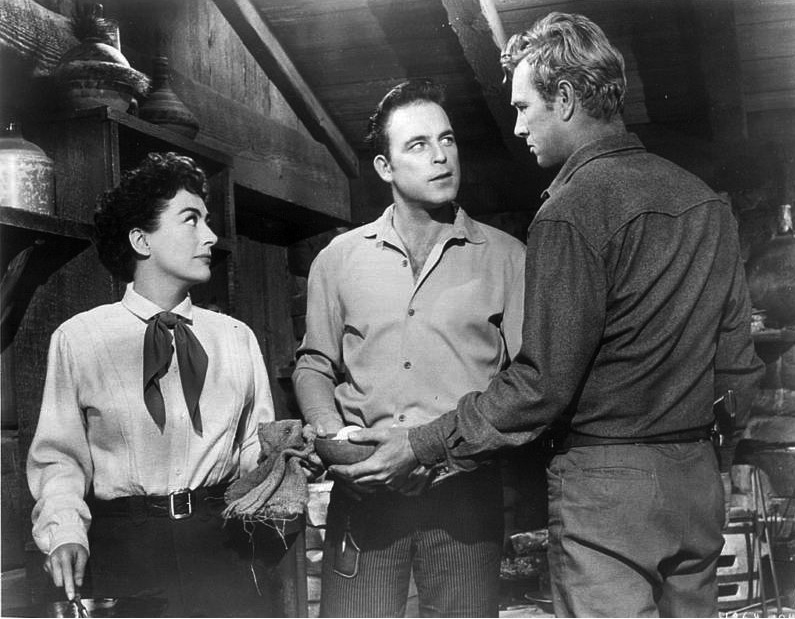 Colin over at Riding The High Country recently posted a great writeup on Nicholas Ray’s Johnny Guitar (1954). Be sure to read it. 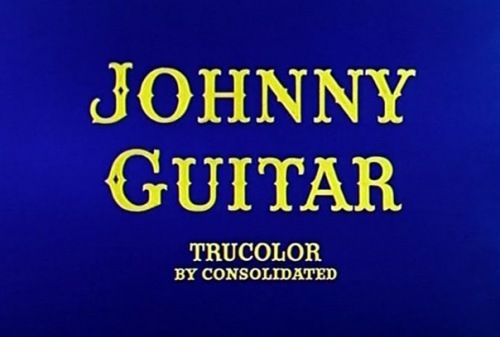 With a Blu-ray of Johnny Guitar coming from Olive in August, I’m getting excited about seeing the picture again (it’s been almost a year). It’s one of those films that, as Colin points out, shows us something each time we see it. A friend once described it as “the damnedest thing I ever saw” — a concise and completely accurate appraisal. 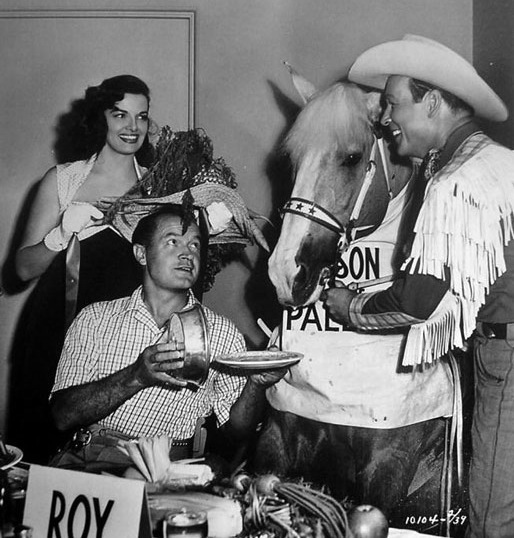 Any Western where Frank Ferguson and Ward Bond are in a group of vigilantes lead by Mercedes McCambridge has to have its merits.